Herbal medicine uses such ingredients as pumpkin seed oil, pygeum extract and uva ursi for treating common ailments. Each individual extract may be added to a primary active ingredient in an herbal formula, or several may be combined in an herbal remedy. Uva ursi, for instance, has a role in alternative health care for treating urinary tract infections and bladder inflammation, according to the University of Maryland Medical Center (UMMC), while pygeum is used for treating benign prostatic hyperplasia, a noncancerous enlargement of the prostate gland. 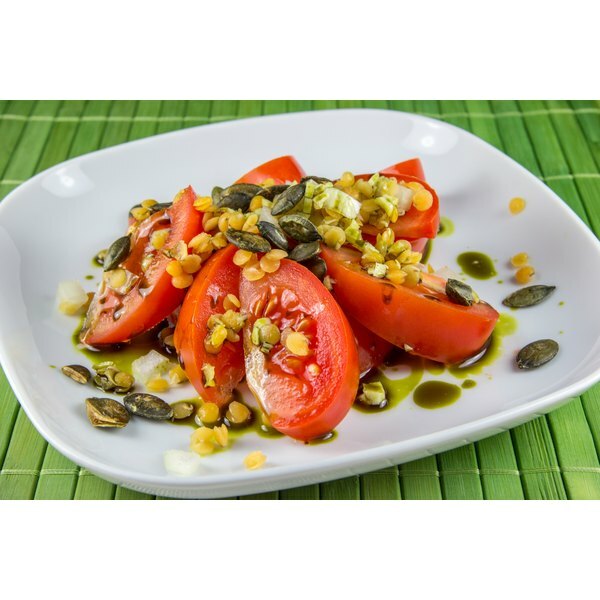 Pumpkin seed oil contains alpha-linolenic acid, an omega-3 fatty acid with anti-inflammatory properties. Consumers should be aware that some side effects are possible when taking supplements based on these three herbs. Most side effects associated with pygeum and uva ursi are mild, as noted by the National Institutes of Health (NIH). Some people may experience diarrhea, constipation, stomach pain or nausea. The Physicians' Desktop Reference advises talking with your doctor if you experience nausea or vomiting while taking uva ursi. You shouldn't take this herb if you already have digestive problems such as cramps, gas, diarrhea, ulcers or Crohn's disease. In addition, some individuals taking uva ursi may experience irritability and have trouble sleeping. Neither of these herbs should be given to children because of lack of research on pediatric patients along with the risk of side effects. Hydroquinone, a chemical found in uva ursi, can be toxic to the liver. The UMMC recommends taking conventional medications for urinary tract infections rather than uva ursi, because those drugs have fewer risks. If you do decide to use this herb, the UMMC advises taking it no more than five days in a row and no more than five times a year, and never exceeding the recommended dosage. It's best to use uva ursi under a doctor's supervision, and you shouldn't take it if you already have liver problems. Pumpkin seed oil has no reported side effects, according to the University of Michigan Health System, although pumpkin seeds can cause an upset stomach. Nevertheless, any herbal remedy can cause an allergic reaction in some people, and this holds true for pygeum extract and uva ursi extract as well. Signs of an allergic reaction as listed by the Physicians' Desktop Reference may include breathing problems, tightness in the chest or throat, chest pain, hives or rash and itchy or swollen skin. An allergic reaction to any of these substances should be considered a medical emergency.